I'm still around but have been very busy with life. My last semester is almost over and I'm trying to get back into the crafting groove. I never finished my April calendar pages, and haven't even thought of May yet. Maybe I'll catch up, maybe not. I'm sure most of you know by now that Google is getting rid of it's reader this summer. Click the link above to follow me over on BlogLovin. It's easy to sign up and use. Crafty posts are coming soon. I've been doing a lot with one of Letter Delight's newest SVG sets. I'm posting this a bit late, but it's actually been done for a while. Instead of doing a daily journal, I decided to do weekly summaries. 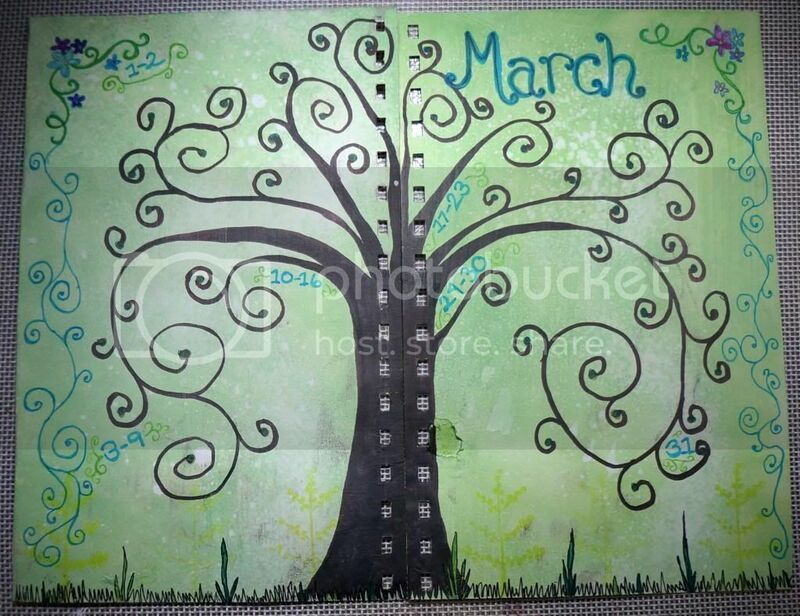 To me, March is the beginning of the rest of the year. Flowers like daffodils and tulips start to send up shoots, trees are forming leaf buds. I don't like winter and March gives me hope. My sister-in-law got married this past August. 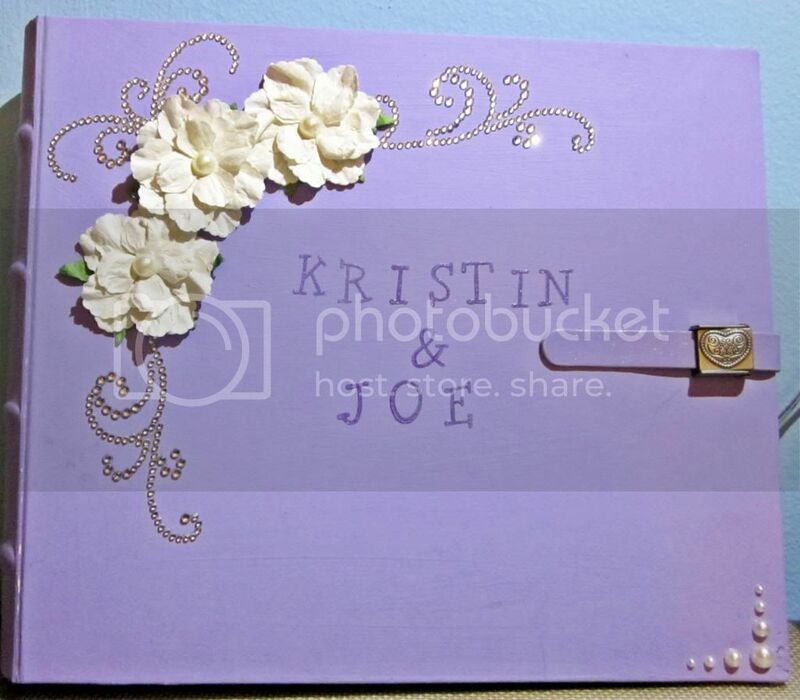 For her bridal shower gift, I made her a scrapbook. For the actual shower, I had the cover done and most of the layouts set up inside, but obviously had no photos. 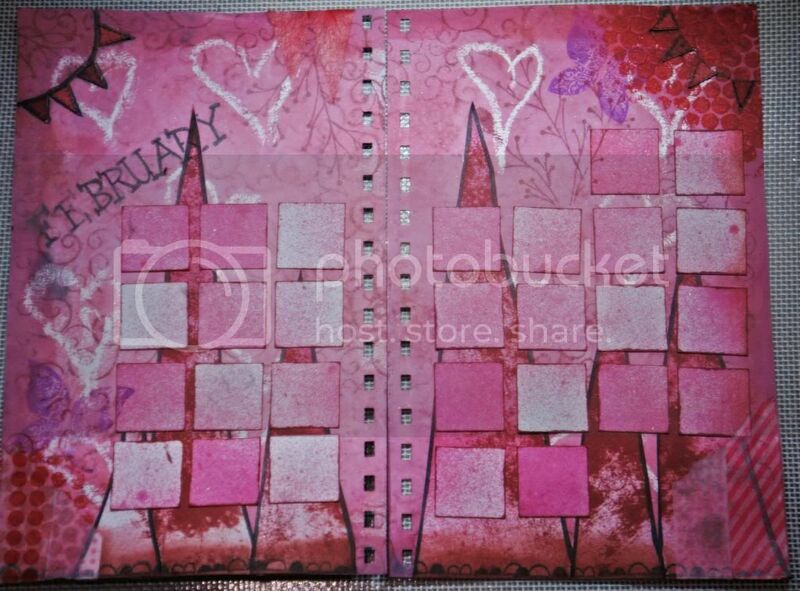 In the end, I ended up putting the photos in and embellishing as well so she had a completed scrapbook. This is the cover. A Bind-It-All 8x8 Cover-All, and heart shaped Rivet closure. and some extra bling in the lower right corner. For the Want2Scrap bling, I cut up the original piece to get others that could be spread out. It made a completely different design that works well with the flowers. Happy Valentine's Day! 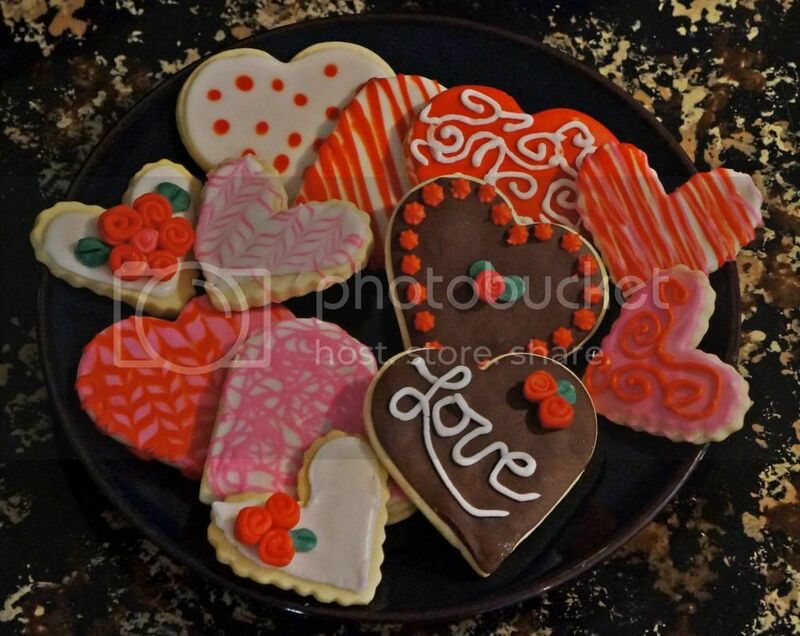 I made sugar cookies for my in-laws and my husband this past weekend. It's the first time I've ever decorated cookies like this before. Normally, I hate rolling and cutting out cookies. It's so time consuming and difficult. However, the recipe I used was very easy to work with. I had a lot of fun making these. I used 3 recipes from Karen's Cookies...her Basic Rolled Sugar Cookies, Meringue Powder Buttercream and Candy Clay. The buttercream was flavored with vanilla and raspberry flavorings. I also made two batches of the Candy Clay...semi-sweet chocolate and white chocolate. The white chocolate was mixed with different colors for the mini roses and leaves. I'm not very good at piping yet, but hopefully I'll get better. The cookies are very good. 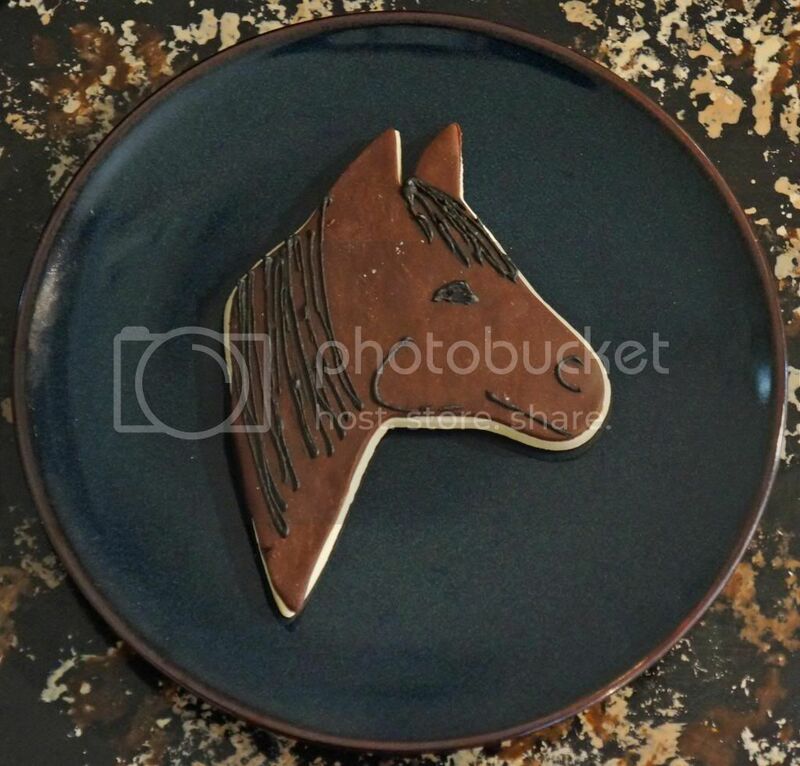 I also made a few horse cookies for my mother-in-law. Here are my February art journaling pages. I'm finding that filling out each day is difficult to do. For March, I might try making strips and doing a weekly summary instead of individual days. I used clear candle wax to draw on the hearts, then inked and layered over them. This layout has many more layers than my January one...but still needs some more bling. My father-in-law has several hives of bees which means beeswax! 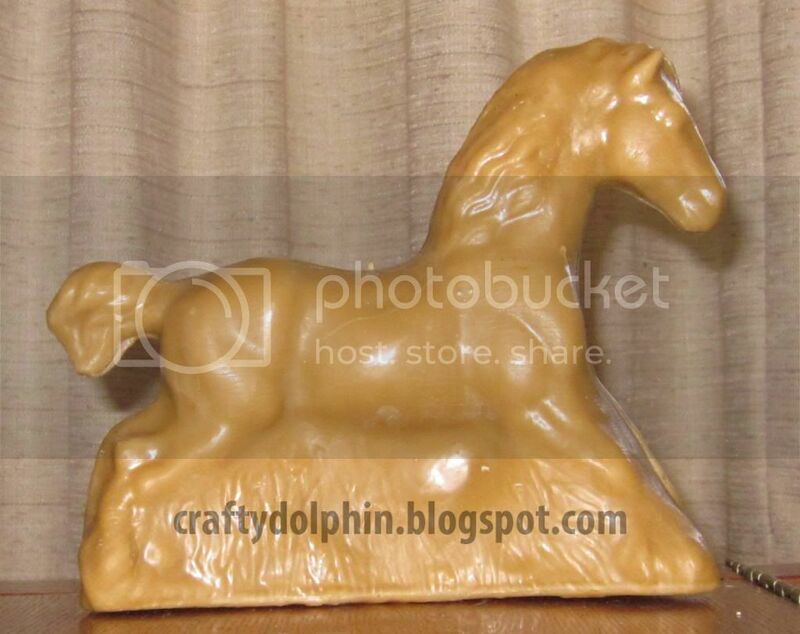 For Christmas, I was able to clean up enough wax to make this horse candle. The wax isn't as clean as it should be, but I'm still learning. I made a simple birthday card for my mom following along with this weeks CAS(E) sketch. I wanted to make the butterfly look more dimensional, so I print-and-cut two sets of butterflies, attached them at the body, then added a pop dot to make one of the wings stick out more. These wine glasses were Christmas gifts for several women in my family. I hand painted each glass, though I did use stencils for the names. My hands are very unsteady, but discovered that I could go back and scrape off a little bit of the paint if a line turned out lumpy or I had a bump, or another mistake. Alcohol also dissolved the paint. These techniques only worked for a few days after the paint was applied though. 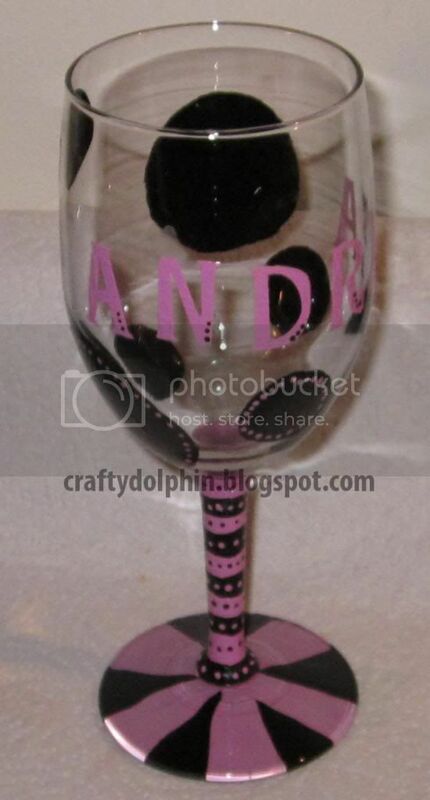 For Ashley's glass, I used a Q-tip dipped in paint for the dots. For all the glasses, the tiny little dots on the names and other places were made using a toothpick dipped in paint. This card follows along with the simplicity theme I've been enjoying lately. The card was designed with Make-the-Cut and Lettering Delights Nordic Christmas svg files. It was printed out then layered on top of the card with a red layer. I added some Want2Scrap bling in the corners for some shine. I'm entering this card in two challenges. The Jingle Belles Scandinavian Challenge's criteria was to make a card using the color red. I also stuck to their Scandinavian inspiration. Alway's Playing With Paper's Merry Monday challenge is to use birds in your Christmas card. In these cold and wintery months, I'm finding myself wanting to spend most of my time home curled up under an electric blanket on my couch. Not very conducive to crafting with paper, stamps, adhesives and so on. 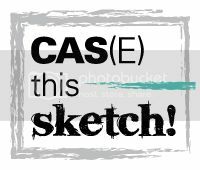 I stumbled on the CAS(E) this Sketch! blog and had one of those "omg this is perfect" moments. I like simple cards. Whenever I try to create something with lots of layers and paper piecing, I'm never happy with it. My love of simple cards and lack of motivation has led me to start using the print and cut function in my Make-the-Cut software. 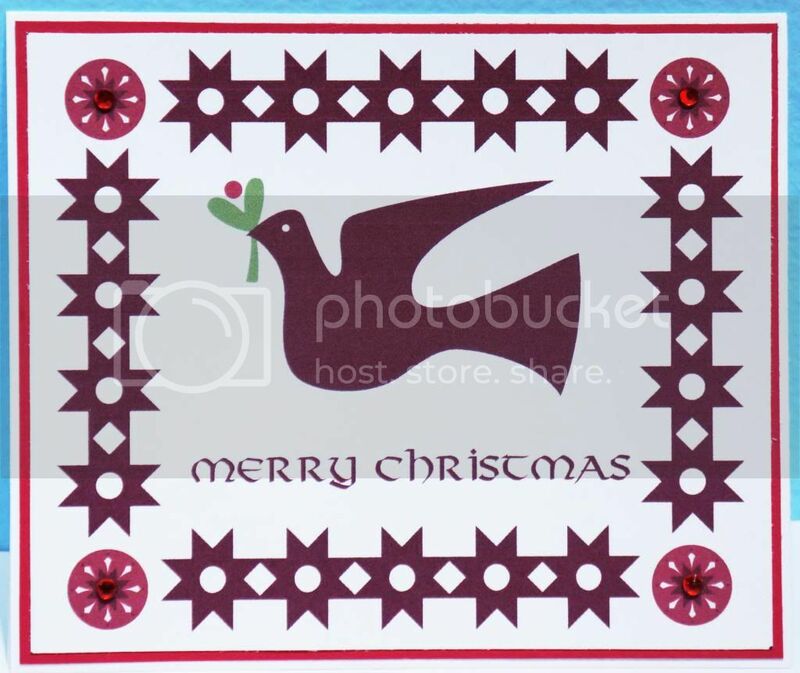 I can design the card on my laptop...under my blankets of course. Then move to the office to print and cut it. Just a few quick embellishments later and voila! 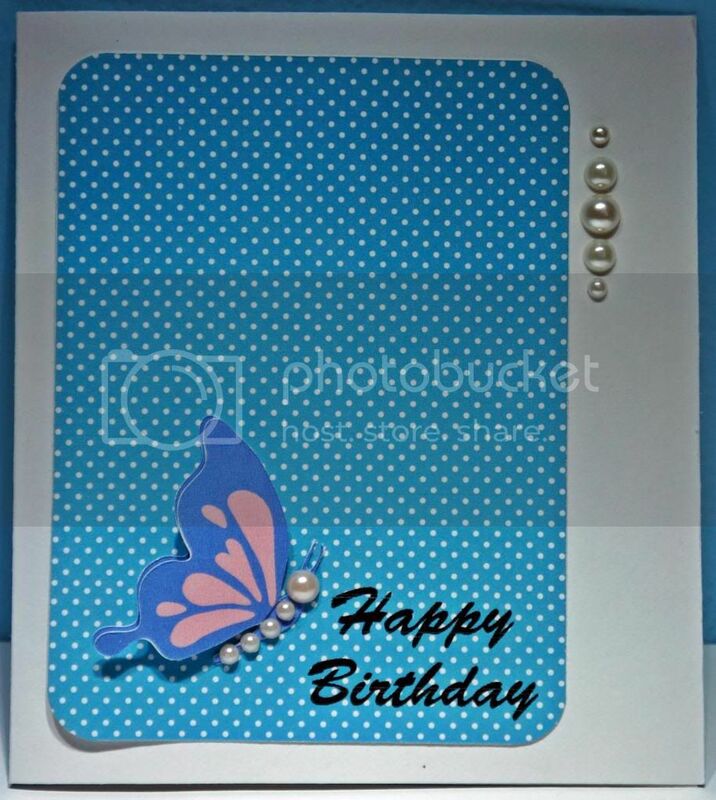 A nice, simple card with that touch of homemade flair. 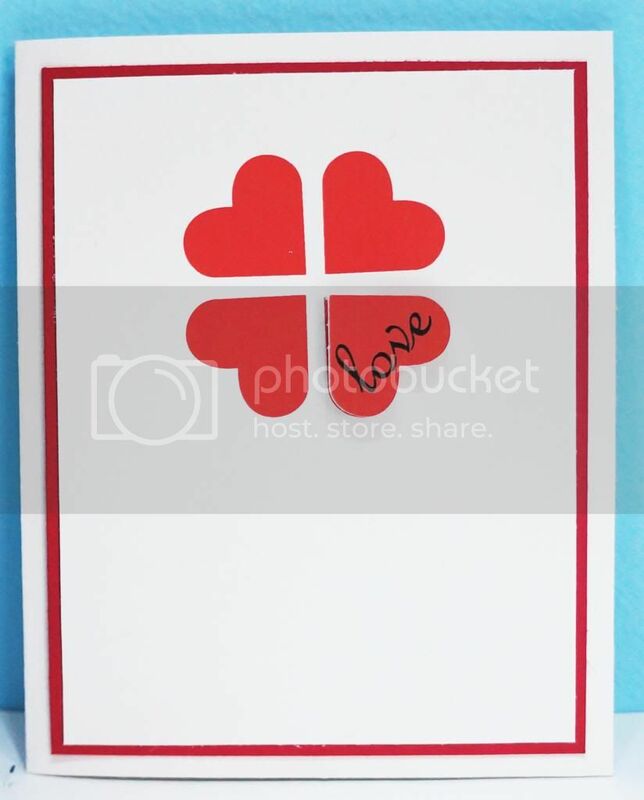 For this card, I just used a basic heart shape in the software and a standard font found on my computer. I cutout the love heart so it could be popped out of the card. It adds that special something. I think this card will be sent to a dear friend of mine.